Climatize UPVC Windows manufactures and installs high quality affordable UPVC Windows and Doors, Conservatories, Porches and roofline products including UPVC Guttering, Soffits and Fascias covering a 15 mile radius of Kingstanding Birmingham. With over 24 years experience within the UPVC Windows, Doors and Conservatories sector, company owners Neil and Sharon Bartlam offer an extensive range of home improvement products tailored to meet every clients individual requirements, budget and tastes, from traditional UPVC Windows and Doors, to more contemporary designs to bring out the best in your home and its value. Climatize Windows is a fully accredited member of the prestigious UK Trades Confederation, hand- picked for the calibre of our overall service. We adhere to their strict code of conduct and our high standards are independently assessed on a regular basis. But don’t take out word for it. We have many happy customers in Kingstanding and the surrounding areas around Birmingham, so why not take a look at our testimonials pageto hear from people just like you. Legend 70 has been engineered to seamlessly allow window installations and composite doors to work together, ensuring the look and feel of the build is the same across every visual. Weatherproofing technology makes legend an innovative and versatile design. Frames are fully bevelled for a slim appearance, with low sightline pre-inserted gaskets to allow maxim daylight. The range of sections is vast along with four casement sash solutions, a complete series of structural reinforcements, four extension profiles, and numerous other ancillaries. This makes Legend 70 one of the most comprehensive window, door and conservatory suites available on the market to date. Legend 70 has a comprehensive colour range too, from white, mahogany, rosewood and light oak to the beautiful Artisan coloured foiled range which consists of 13 high technology colours,4 real Woodgrain effects so fine it’s nearly impossible to tell the difference from real wood. 8 coloured Woodgrain colours in bright and neutrals to give the home a contemporary painted look without the maintenance. Our policy is to deliver our service, promptly, efficiently and professionally, and we look forward to welcoming you as a valued customer. 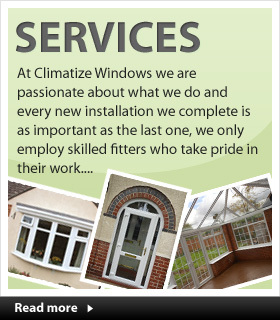 For a no obligation no pressure quotation for your UPVC windows, doors, conservatory, porch and roofline installations, call Climatize Windows now and a friendly member of staff will be happy to discuss your options. 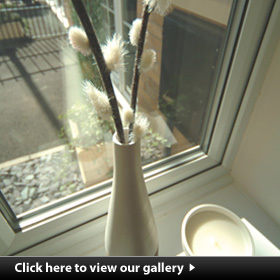 CALL NOW ON 0121 325 1792, or why not call into our Birmingham showroom in Shady Lane Kingstanding.